Marriage isn’t ever what anyone expects and our marriage is no different. From trips to India and the US along with the long coveted Chanel bag, marriage to Mr.B has had its fair share of presents and perks! So with the 1-year mark rolling around, one can understand my excitement. I find myself wondering what he’ll spoil me with next. Perhaps a return trip to Hawaii? 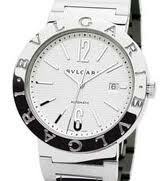 Then there’s the Bulgari watch I’ve had my eye on….the anticipation is palpitating! On February 6th 2011, Mr.B gave me one of the biggest surprises of our marriage thus far. As I lay curled up on the sofa beside him, tucking my feet under his thighs to keep them warm, he reached in to a bag and took out a small case. Most would assume it’s a ring but they’d be half right. Half because it was a piece of jewelry…technically. Being a good wife, I fulfill the wishes of my husband (at this point my parents too) and wear the item in question. I smile as the ornament glitters at which point a roar of laughter overwhelms my senses. What you ask was this amusing piece of ‘Bling’ my husband bestowed upon me? Mr.B gave me a clip-on gold tooth! Understandably my fears about the anniversary gift is now on high alert! When you want jewelry, specify what kind! Welcome to my ‘blinged out grill’ of a marriage! Word!